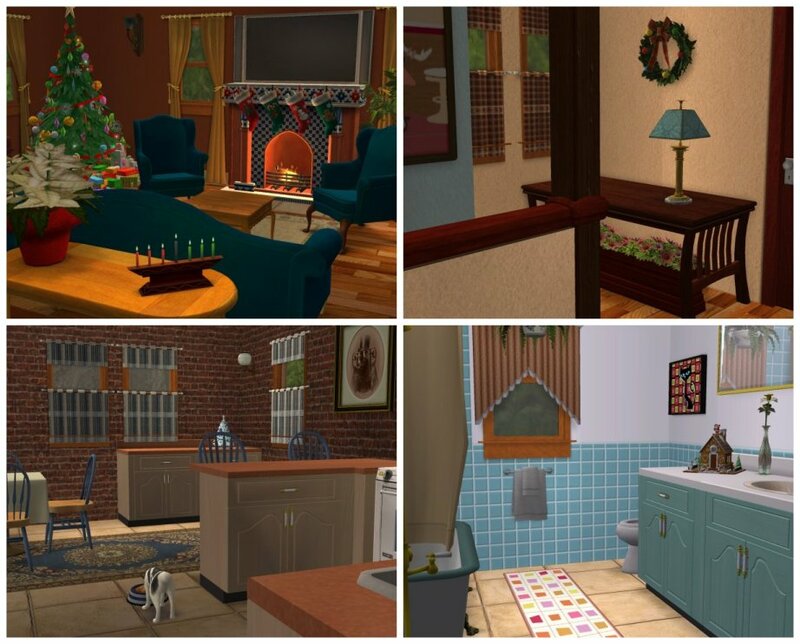 There are three versions to download -- a furnished version ($149K), a version tastefully furnished with maxoid Christmas items ($147K), and an unfurnished starter (under $20k) version. 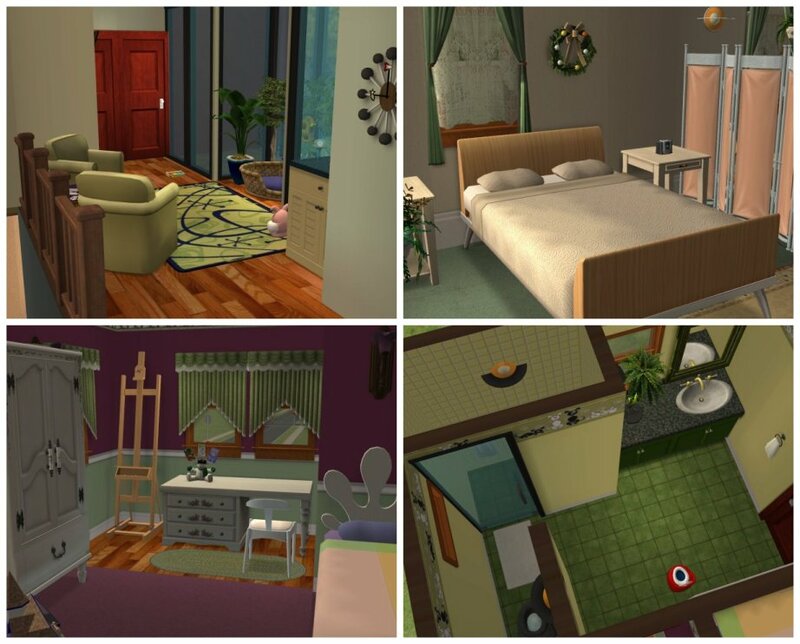 The Christmas version includes only items that were freely available for download on the Sims site in December 2004. 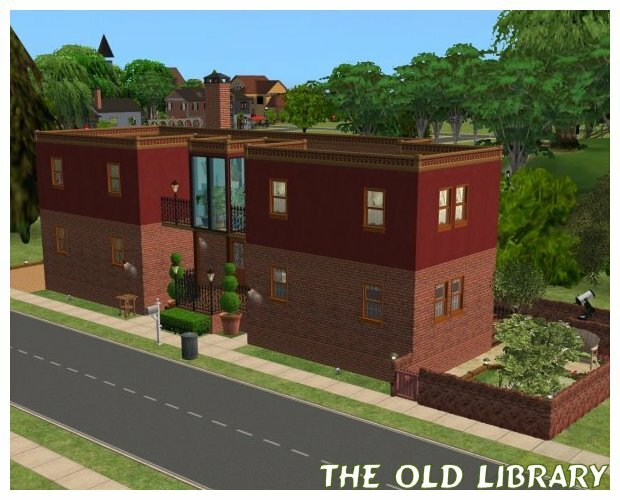 This lot started out as a self challenge to myself -- could I make a house I would be happy to play on a 3x1 lot? I then decided to see if I could make a house for under 20k, as if my sim were buying a fixer-upper, then remodeling and furnishing it? 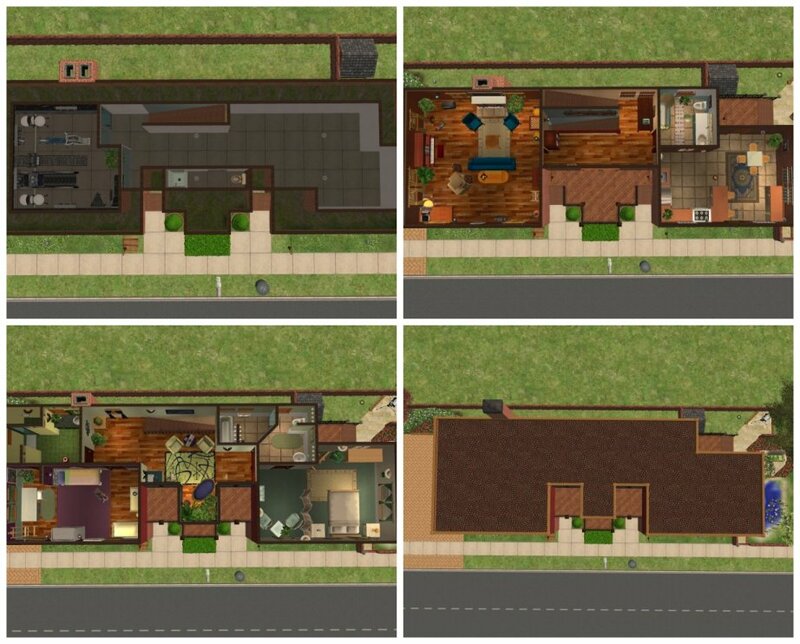 My plan would be my sims would buy it at 20k, work hard, then when they could afford the furnished version, they would have an extreme makeover (otherwise known as being moved to the bin, old house destroyed, new furnished house plopped down, and sims moved back in). This house really packs it all in on this small lot. 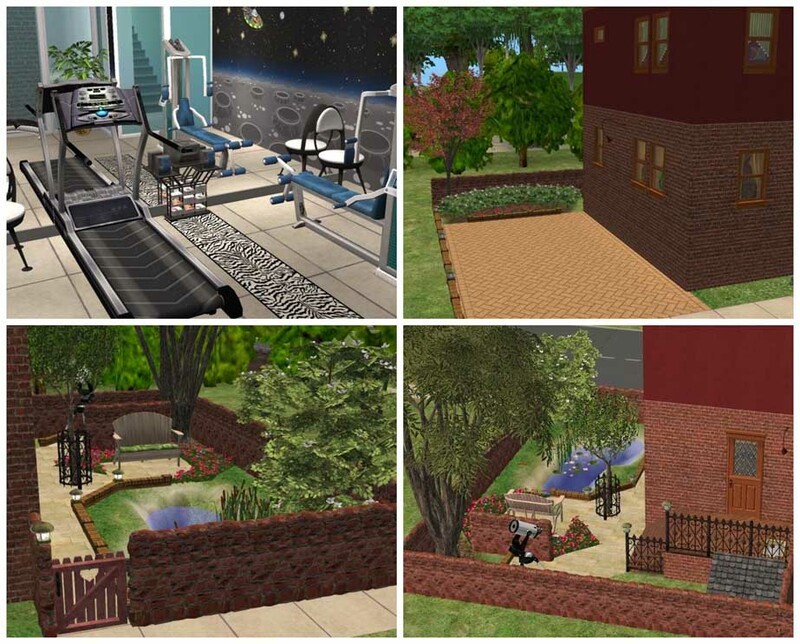 Master bedroom, child's room/nursery, 4 bathrooms, basement exercise room, driveway, meditation garden in the side yard. Fully furnished for pets: 2 food dishes, a scratching post, cat basket, dog house, cat's wall toy, a dog bone, a litter box and catnip. House was playtested for several sim weeks, including with pets. Naughty cats can jump on all the chairs and all but the center couch cushion. Dog will chew his bone outside on the other side of the meditation pond, blocking no doorways. All landscaping is gardenable -- trimmable and waterable. Pets special fencing (flooring divider) was used in the child's room/nursery so that a crying baby will not wake up a child sleeping in the twin bed. Should you desire the person in the twin to awaken, simply remove the flooring divder.